You've just activated the cover page, and want to know what it's capable of? This is the right article for you. There are two major ways of building your cover page – either you start from scratch, or you choose one of the many predefined layouts we provide. The example below illustrates the case if you start with a blank layout. If you're interested in a more basic article, start by reading this introduction. Once you're in edit mode, you can add a new section and add one the template sections. You can choose options based on text, image, video or something mixed. After that, you can replace images of the elements, add text, change colors, and almost any other thing you would like. 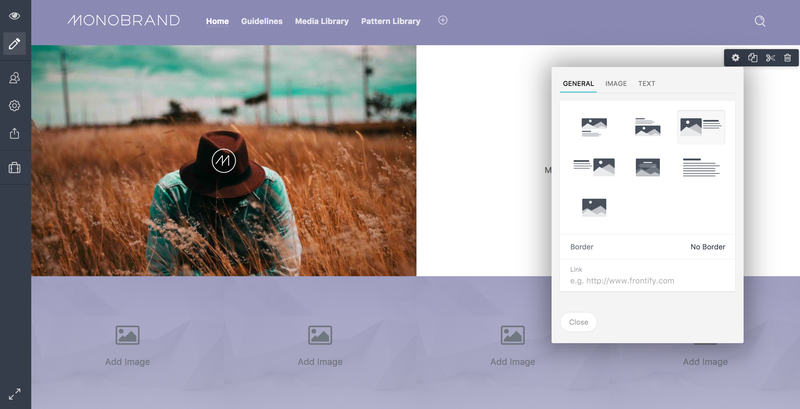 You have different layout options such as images with text overlay, images with text on the left, right, above, or below the image – and much more. For every single content block, you can adjust the appearance even more. 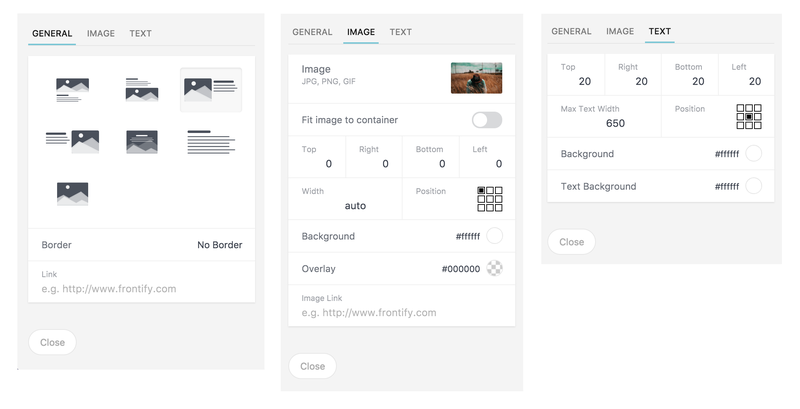 You can crop images, make them fit to the container, define the margin, their width and position – just as examples. Pro tip: Set a cover overlay to make your images look more consistent, or link from blocks directly into your guidelines. You can set your header settings by clicking on 'Change Header' in the middle of a section. The design can be changed on a document level. This means, for example, that you can go for a different header size for your cover page as for your Style Guide or your Media Library. Apart from the header size, you can change the background color, background image, or its width. You can also adjust the typography color, font size and more for your hero heading and subheading. 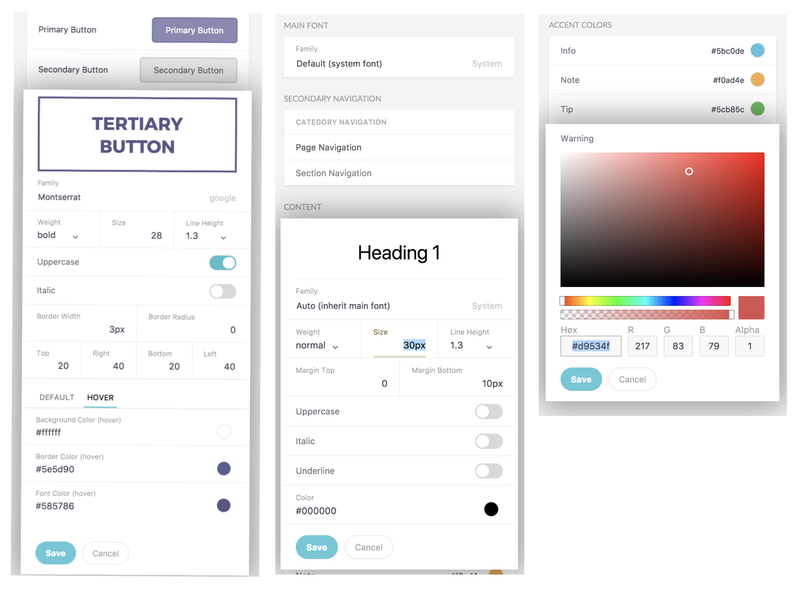 Ultimately, you're able to customize your button's default and mouse hover state (colors, radius, border width, ...), the fonts you want to use in Frontify, or the colors and accent colors you want to use – not only on your cover page, but in Frontify in general. This helps you keeping your appearance consistent. It's best to play around with your cover page! In case you don't feel quite ready, there is one more article with advanced tips and tricks to design and customize your cover page. Otherwise, just contact us for more information.